Victor Moses endured his lowest moment on a football field in last season's FA Cup final but is primed for a shot at Wembley redemption when Chelsea face Manchester United in Saturday's showpiece. Moses was one of the more unlikely success stories in Chelsea's march to the 2016-17 Premier League title – a winger with a nomadic history of repeated loan moves redeployed to wing-back, becoming a vital and reliable cog in Antonio Conte's 3-4-2-1. The domestic double beckoned at the national stadium but the Blues ran into a surprisingly inspired Arsenal and Alexis Sanchez found the early breakthrough. Their desperation for an equaliser spilled over as Moses foolishly collected a second booking for diving in the Arsenal box. Although Diego Costa levelled on what would be his last Chelsea appearance, Aaron Ramsey sealed a 2-1 win and Arsene Wenger's final major trophy in English football. "It played on my mind a little bit but it's happened. I can't rewind it back now," Nigeria international Moses said, reflecting upon a sapping end to his best campaign as a professional. "It's just something that happens in football but you've got to move on. "It's definitely the worst feeling I've experienced in my career. I want to be on the pitch to help my team-mates and it's not nice. "But we're back in another final and I'm looking forward to it." Chelsea return to Wembley in contrasting shape to a year ago. The defending champions limped to fifth and Conte has fielded questions throughout the campaign over his future – a 3-0 thumping at Newcastle United on the final day of the Premier League season doing little to shake the impression the ex-Italy and Juventus coach's tenure is drawing to a close. 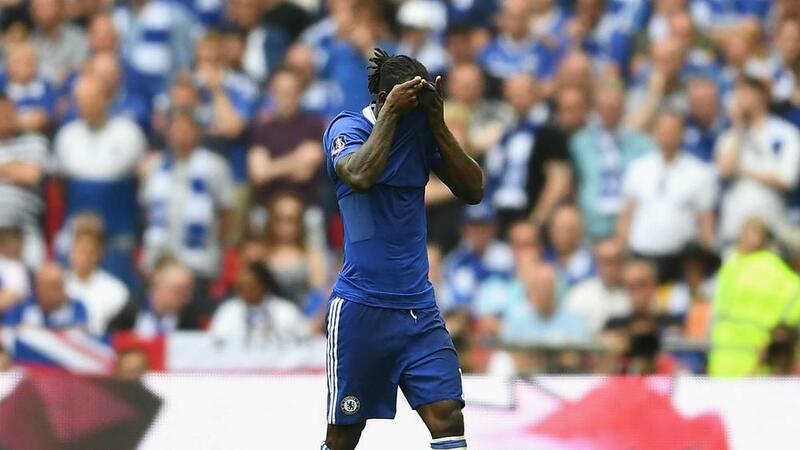 Moses sat that one out at St James' Park and has urged a diligent focus from his team-mates with silverware at stake. "Every single one of us has got to stay focused, do what the manager asks of us to do on the pitch and try to win," he said. "It's always a tough game whenever we play United. They've got quality players and so have we. "The most important thing is to stay concentrated and make sure we win it." Conte and Jose Mourinho's tempestuous relationship means there will be plenty of focus on the dugouts this weekend, although Moses feels he has nothing to prove to a manager who did not give him the chances to shine granted by his current boss. "To be honest, I just want to play my football," he added. "It's nothing to do with Jose. I'm a Chelsea player and winning that final is the most important thing."